This entry was posted in autistic, Documentary, Unspoken and tagged Autism, Autism Rocks, communication, conference, Documentary, Emma Zurcher-Long, Fund raiser, Geneva Peschka, IndieGo-Go, Julia Ngeow, presentation, Social Media. Bookmark the permalink. Oh, I totally blubbered. I am so excited about this. More than I can say here. #unspoken!! So thrilled with this project! 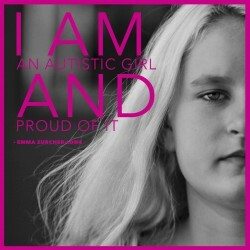 I also have autism and communicate with typing on a letter-board and iPad. I am 20 years old and I’m a freshman in college! I’m at a university which is a big deal! I aspire to be an attorney which means I have a long journey ahead of me! When I’m overwhelmed I consider the alternative. Press on! Gesendet: Montag, 02. November 2015 um 14:51 Uhr Von: "Emma's Hope Book" <comment-reply@wordpress.com> An: neuseeland5050@gmx.de Betreff: [New post] It’s HERE – the link to a clip from Unspoken! arianezurcher posted: "I'm guest blogging on Emma's Hope Book this morning to introduce all of you to the just launched IndieG0Go Campaign for the documentary that Emma is co-directing with Julia Ngeow, producer Geneva Peschka, and executive producer Marquise Stillwell of OpenB"
Wow! DO you want to see the lovely Emma in action? Her story is nothing short of miraculous. Typing gave this autistic girl a voice. Now a documentary is giving all of us a chance to share in the wonder. Please consider donating to help fund a documentary of Emma’s sparkling life!